"I am a stay at home Dad that has a passion for food, cooking and photography. 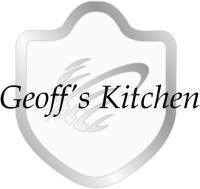 I have recently created my Facebook Page, Geoff's Kitchen, so I can impart some of my knowledge and experience to friends, family and those in the greater digital community that have similar interests. I am completely self taught and thoroughly enjoy spending as much time in the kitchen as possible honing my skills and developing new abilities." 10) Repeat process with 2nd half of pasta dough. The dough will keep for up to three days in the fridge once rolled and cut. This quantity is perfect for two people with a small amount of leftovers. To cook the pasta, bring a 3 litre pot of lightly salted water to the boil and cook pasta for 3 - 5 minutes until al dente. If using commercially made dried pasta, 9 - 11 minutes. Reserve 1/4 cup of pasta water for the Alfredo Sauce. Drain the pasta and lightly coat in olive oil. 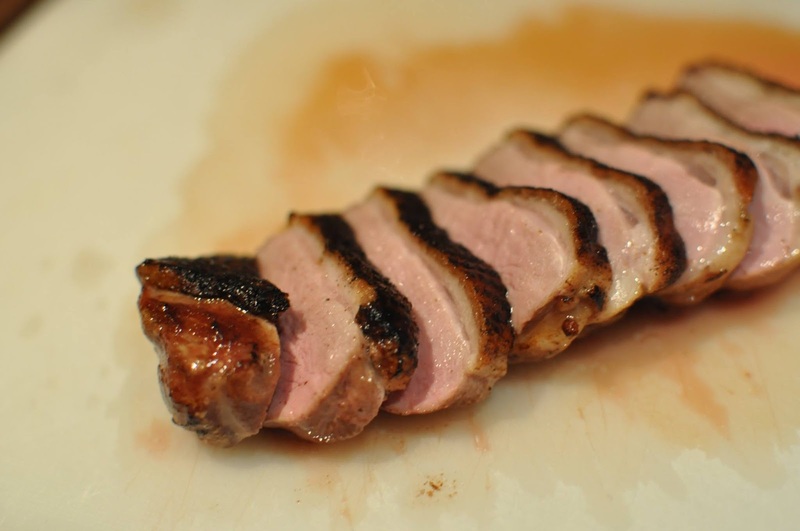 If you have a kitchen blow torch, scorch the skin of the duck breast to assist in creating a crisp skin and rendering the fat, otherwise just continue with the steps below. 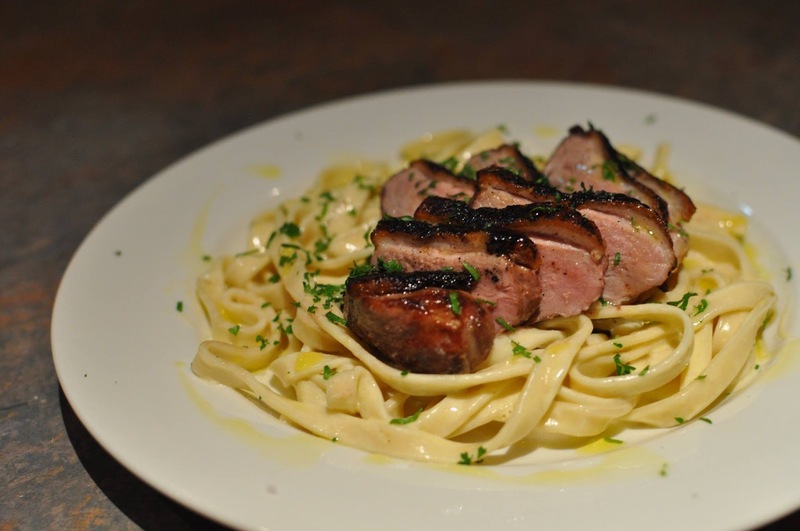 Slice the Duck Breast to desired thickness, plate your pasta and place the Duck Breast on top. Garnish with finely chopped parsley and a drizzle of Olive Oil.